Nuvanna is an online startup that helps consumers live a more balanced life, beginning with a supremely comfortable mattress for a good night’s rest – a key ingredient of a healthy lifestyle. Joining the rapidly growing online retail channel for sleep products, Nuvanna’s premium offerings contain the latest innovations in sleep technology for exceptional comfort, quality, performance and durability. Launched in 2016, Nuvanna draws its inspiration from Founder and CEO Alvaro Vaselli, a business leader and innovator in the material science and sleep products industry for over 20 years. Nuvanna is led by Founder and CEO, Alvaro Vasell. We help COPD patients breathe easy again. RightAir is led by founder and CMO, Jacob Brenner; CEO, Marek Swoboda; and CTO, Michał Swoboda. AgileSwitch, LLC develops transformative technology that dramatically improves the performance and efficiency of electric vehicle and renewable energy applications. Our gate drivers for SiC and IGBT switches are used in a variety of applications including electric vehicles, solar inverters, wind turbines, energy storage, motor drives, energy storage, traction and other high reliability markets. LeagueSide is the largest youth sports marketing platform in the country with access to over 35 million dollars worth of available jersey placement inventory. We make it easy for regional and national brands like Uber, Cigna, Smithfield, and Smoothie King to run scalable and effective out-of-home (OOH) marketing campaigns with youth sports organizations throughout the US. In essence, we’ve turned a fragmented marketplace into a powerful marketing platform, where brands build, improve and bolster their current marketing initiatives and leagues receive much needed sponsorship funding to keep registration costs down. LeagueSide is led by Evan Brandoff, Co-Founder and Chief Executive Officer; Zubin Teherani, Co-Founder and Chief Operating Officer; Emily Haas, Senior Campaign Executive; Max Pollack, Vice President of Engineering. Grassroots Unwired is built on the philosophy that mobile-first technology can be customized and used for the greater good. Turning a face to face interaction into useful data to allow any organization to grow their constituent base, raise more money, and make a difference in their communities. Grassroots Unwired is led by Founder and CEO Russ Oster, CTO Alex Castner, VP of Engineering Ed Fedeli. COSY’s omni-channel software platform prepares retailers with a solution for their inventory needs in the 21st Century. Founded in 2012 by a team of Ivy League computer vision engineers and retail experts, COSY brings the same technology behind Google Street View and driverless cars to retail stores and other large indoor facilities. COSY’s technology enables robots to navigate retail store floors autonomously without any prior knowledge of the store’s layout or products – no RFID or beacons required. The same back-end technology can power mobile applications for store operations and consumer shopping. 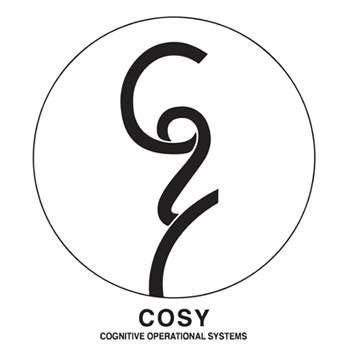 Cosy is led by Founder Jonas Cleveland, CEO, and Professor Kostas Daniilidis, former Director of the GRASP Lab at Penn and co-founder of kapou.gr, a vision-based mapping company. InvisAlert Solutions has developed a patent-pending technology that delivers patient monitoring compliance and risk management for inpatient healthcare. 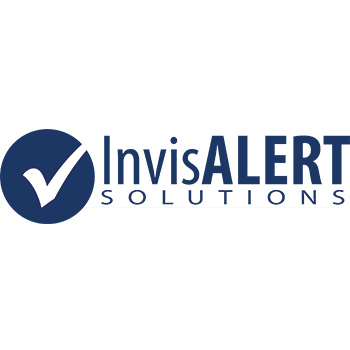 InvisAlert’s initial product, ObservSMART®, targets inpatient behavioral health – a market whose clinical requirements include around-the-clock patient observations at 15-minute intervals. InvisAlert is led by Pete Nagy, CEO. SocialLadder is building the world’s first on-demand network of sales agents and brand ambassadors. Using the Socialladder mobile app, REAL people—SocialLadder “users”—join the SocialLadder network and engage in a game that rewards them for promoting events and brands they authentically love. To ensure authentic selling behavior, SocialLadder uses AI techniques to match our network of users with relevant products to promote. Our users made $5M in direct sales for our customers in 2016. VitalTrax provides patient centric solutions such as PatientWing (www.patientwing.com), a clinical trial network that connects patients with clinical trials. PatientWing is a cloud-based consumer focused solution that enables pharmaceutical companies and research sites to enroll patients in clinical trials. Vitaltrax is founded by Zikria Syed, CEO; Todd Kueny, CTO. Isoma Diagnostics is focused on helping find a cure for one of the deadliest forms of cancer in the world called Glioblastoma Multiforme (GBM). Our highly accurate diagnostic test can determine which one of the four distinct GBM subtypes each patient has. The technology holds promise to potentially uncover which drugs and therapies are the most effective with each particular subtype, enabling personalized medicine and improving patient outcomes. 18,000 Americans are diagnosed with Glioblastoma each year including Senator John McCain, Ted Kennedy, Beau Biden, and Darren Daulton. The current standard of care for GBM patients hasn’t changed in over twenty years and includes: surgery, radiation, and chemotherapy resulting in a five year survival rate of less than 5%. Isoma Diagnostics is led by Founder and CEO, Steven Davis; Founder and Chief Medical Officer, Donald O’Rourke MD; and Chief Science Consultant, Louise C. Showe, Ph.D.
Quantitative Radiology Solutions (QRS) is a Philadelphia-based software company that helps physicians make better treatment decisions through automatic analysis of medical images. We are commercializing a technology from University of Pennsylvania that supports recognition, delineation and quantification of anatomical structures and diseased tissues in multiple body regions. When applied to the field of radiation treatment planning, this technology helps reduce side effects for cancer patients undergoing radiation treatment by improving the efficiency and accuracy of healthy tissue contouring. In addition to radiation oncology, our technology also has application in 3D printing and monitoring of therapeutic response. Quantitative Radiology Solutions is led by Joe Camaratta, CEO; and Steven Owens, CTO. Innovative Supply Solutions (ISS) is a unique clinical trial and drug supply chain technology and service organization. We offer accurate, cost effective systems for planning and executing clinical trials and drug supply chains – from planning through patient utilization. ISS is committed to identifying risks, controlling costs, and increasing effectiveness at every point in the clinical trial and drug supply process. Innovative Supply Solutions is located in Southampton, PA. Innovative Supply Solutions (ISS) is lead by Adam Warren, CEO, Adam Moskow, acting COO, Board Member and strategic advisor.